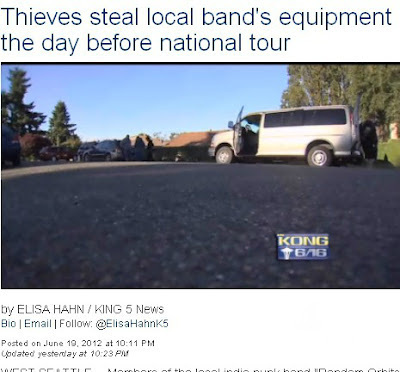 [REPOST from 2012] A familiar sadness fills our hearts every time we see bands posting that their gear was stolen out of their van. Nothing feels quite as violating as being stolen from. If this has never happened to you… trust me, it’s sheer dumb luck that you haven’t been a victim yet. Don’t leave anything overnight in the van. I know you’re tired from rocking out, but man-up and put your gear in a building. The Adarna Featured on Herald Journal & Cache Magazine in Utah!